Tints of nature products offer vibrant, shiny and healthy outcomes of hair highlight to you without causing any damage. Its natural and organic ingredients make it the first preference for every individual whether you are a man or a woman. The most common dilemma that every individual faces while highlighting their hair is whether the product they are using is appropriate or not. The availability of diverse options makes it more confusing for you to decide. The name that stays ahead of other available brands is tints of nature that offer organic products for highlighting your hair without causing any severe harm or damage to it. 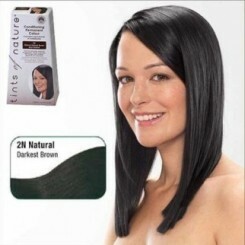 You can conveniently acquire vibrant and healthy hair highlights with its ammonia free salon formulation. Lightening powder: Being free from any ammonia content, it contains Potassium Persulfate, Sodium Silicate, Silica, Tetrasodium EDTA, Hydroxyethyl Cellulose, parfum, wheat protein (hydrolysed) and more. Cream activator: It contains Hydrogen Peroxide, aqua, Cetyl Alcohol, Cetrimonium Chloride, Ceteareth-25, Ceteth-2 and Oxyquinoline Sulphate. Protective oil: Its nourishing ingredients may include oleic acid, denatured alcohol, PEG-2 Soyamine, propylene glycol and cocomide DEA. Try to make use of gloves for convenient application. Create a creamy and consistent mixture of lightening powder with cream activator. Apply the mixture at the front side of hair by making use of the cap provided in the kit. The cap with the holes helps you in pulling distinctive strands of hair with ease. Cover the highlighted portion with a plastic cap to let it develop for pre-recorded time duration. Wash the hairs with flowing warm water. Hello Web Admin, I noticed that your On-Page SEO is is missing a few factors, for one you do not use all three H tags in your post, also I notice that you are not using bold or italics properly in your SEO optimization. On-Page SEO means more now than ever since the new Google update: Panda. No longer are backlinks and simply pinging or sending out a RSS feed the key to getting Google PageRank or Alexa Rankings, You now NEED On-Page SEO. So what is good On-Page SEO?First your keyword must appear in the title.Then it must appear in the URL.You have to optimize your keyword and make sure that it has a nice keyword density of 3-5% in your article with relevant LSI (Latent Semantic Indexing). Then you should spread all H1,H2,H3 tags in your article.Your Keyword should appear in your first paragraph and in the last sentence of the page. You should have relevant usage of Bold and italics of your keyword.There should be one internal link to a page on your blog and you should have one image with an alt tag that has your keyword….wait there’s even more Now what if i told you there was a simple WordPress plugin that does all the On-Page SEO, and automatically for you? That’s right AUTOMATICALLY. Good job I hope I was able to help you ! ccan effortlessly be aware of it, Thanks a lot. F*ckin’ awesome things here. I’m very glad to peer your article. Thanks a lot and i am having a look ahead to touch you. Will you please drop me a e-mail? I was looking for something like this and I am very glad to see such amazing information here. I’ll be looking forward to your suggestions.. I really confused with these entire product. I don’t know which product is suitable for my hair. Previous Previous post: Shouldn’t We Know ‘Exactly’ What Are Kids Are Eating?